More and more in marketing, you hear buzz phrases about storytelling – advising you about the concept of telling your story. It’s good advice. Your best opportunity in marketing messages is to inspire your customers to write testimonials about their positive experience with your company. Certainly, you’ll profit more if you can entice your customers to tell your story about your products and services. Positive run-of-the-mill reviews are great, but it’s much better if you can get your customers to provide inspiring details about you. Unfortunately, businesses struggle to persuade their customers to give a complete and outstanding review. However, , you’ll see a domino effect if you employ the right strategies for customer engagement, collect their impressions and distribute it to your customers. Once positive testimonials entice other customers to buy, the new customers will be inclined to become your brand ambassadors, too. Your immediate goal should be to promote your brand as the best – with optimistic, powerful testimonials. Go beyond just using social media. Develop a foundation to collect your customers’ impressions. Inspire and appoint your employees to collect, edit ad publish customer stories. Monitor the performance of the testimonials on your social media and site. If customers are unhappy, they will crusade against you. If they are happy, most people will take you for granted. So, avoid lethargy and disinterest. Get customers to sit down and go to work as your brand ambassador. Don’t be mundane by giving customers a basic text box to complete. Create a structure in which you make it easy for customers to be comprehensive to enable you to harvest their all-inclusive testimonials. Use an easy-to-complete template to motivate customers to write. Ask customers to explain the purpose of their purchase, how they achieved their goal, why the purchase was beneficial, and how they now feel about the purchase. Consider a reality – most customers aren’t the greatest of writers. So, help them with examples they can emulate. Customers love a happy buying environment. When possible, use humor to make buying fun. That should include soliciting the desirable tone and length of their stories. If you succeed in eliciting great testimonials, you should prevent buyers’ remorse. So, reward such customers. Consider letting them see their testimonial before you publish it. Happy customers are often delighted to see their comments online. Provide rewards points. Toss in even more reward points if customers provide a picture. It’s truly worth a thousand words. If your products are spendy, send them a check. The higher the price, the bigger the amount. 8 Strategies to Enhance Your Customer Service Image — Poor customer service is a salient reason why consumers aren’t loyal to businesses. True, today’s consumers are very demanding. It’s worth noting they’re demanding because they constantly encounter poor customer service. 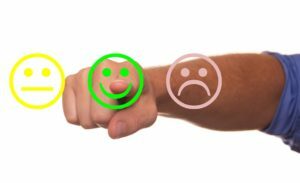 Best Practices to Get Positive Customer Reviews on Amazon — Amazon has become the e-commerce destination where prospective customers can discover and buy anything they want. Here are four best-practices to attract great reviews. Are You Attacked by Bad or Bogus Reviews? 5 Tips to Respond — Certainly you only want positive customer reviews. Internet-savvy shoppers read reviews to make buying decisions. Reviews can make or break you. Marketing Tips via Mobile Devices, Reviews, Coupons — Digital marketing opportunities keep growing and growing. For instance, 70 percent of consumers research product reviews while they shop in stores. Ninety percent are relying on their mobile devices as they make in-store buying decisions.